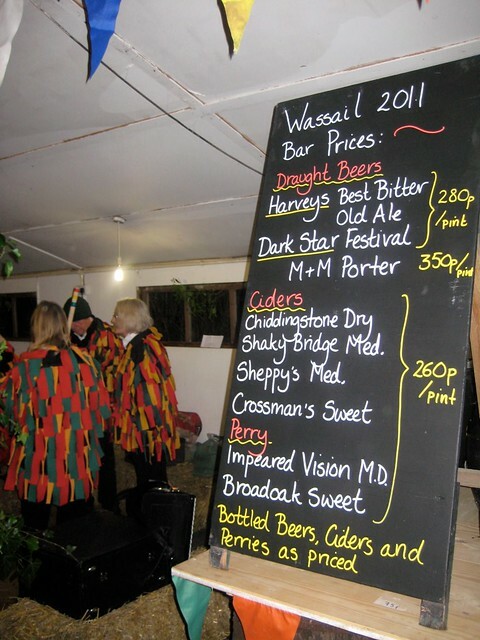 We had a great visit to Middle Farm in the middle of January, where we went a Wassailing! A Wassail is a winter celebration, traditionally held on Old Twelfth Night, to ensure that the orchard is fruitful in the coming months. It was a fantastic clear crisp night, perfect for blessing the fruit trees. There was of course a great selection of best selling and local ciders and perries. A great programme of indoor and outdoor events, including a Celidh, bonfire, and lots and lots of drumming organised by the Hunter’s Moon Morris men.